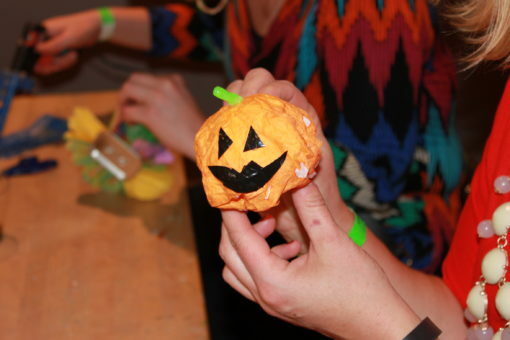 We hosted yet another Adult MAKEnight this October. We offered hand sewing and machine sewing as an activity along with circuit blocks and stop-motion animation. 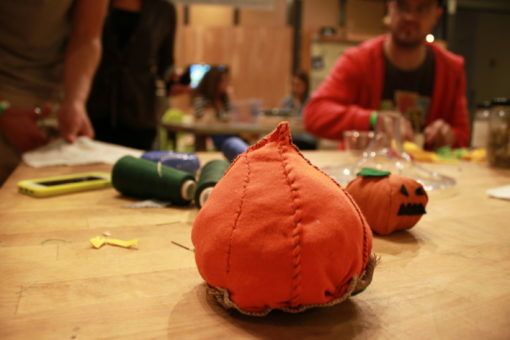 We prompted our patrons to make something for Halloween, but of course everyone was free to make whatever they wanted. 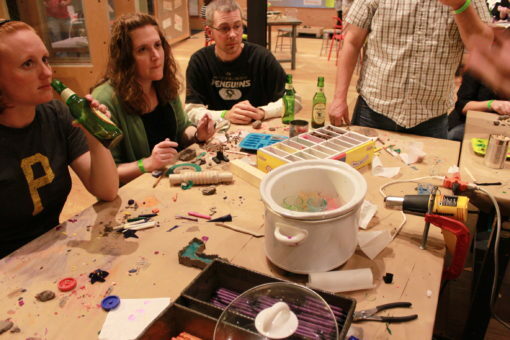 The Art Studio also provided a bunch of activities, including silk screening with glow in the dark ink. The silk screens were done on fabric and then people were able to sew that fabric into a project in MAKESHOP. 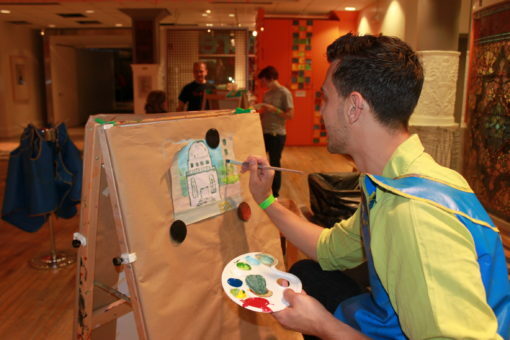 The main attraction of the night involved a lot of heat and a lot of crayons. 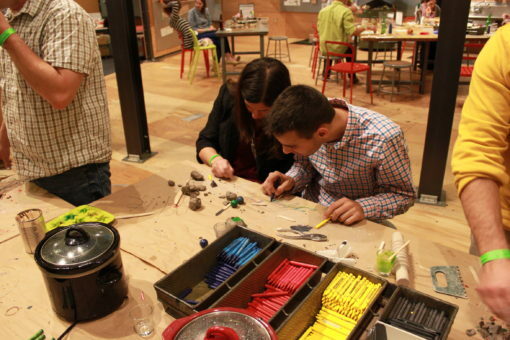 We allowed the adults to create their own clay molds and then let them make their own, personalized crayon. Christian and Derek did an amazing job facilitating this activity (which was new for us). There were some really interesting crayon shapes created along with a lot of newly invented colors throughout the night. 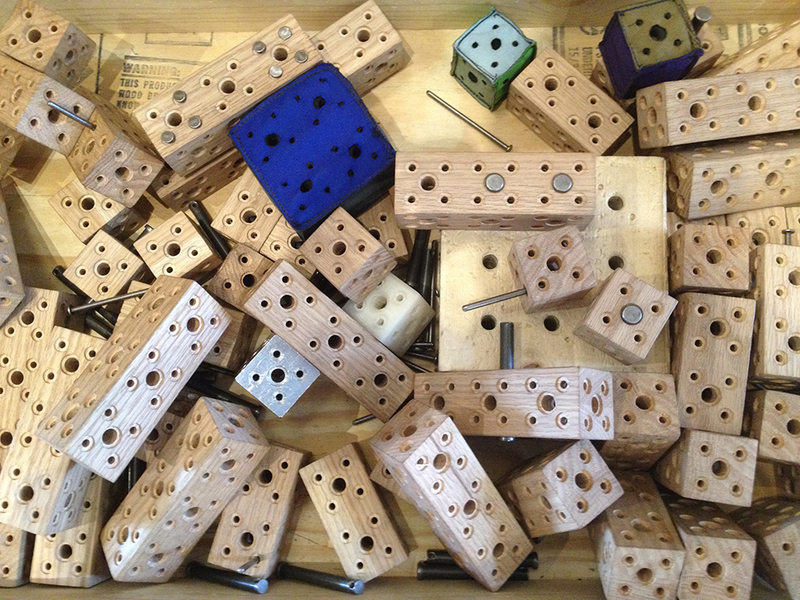 The process required several crock pots and a heat gun to fully melt the crayons. The clay molds allowed the adults to make something unique and really experiment with mold making. The event was a ton of fun. Thanks to all of the great adults who attended. 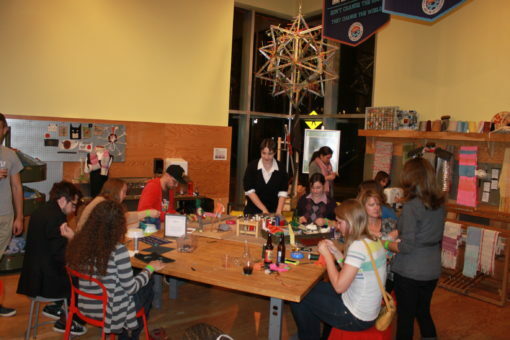 Check out our calendar for upcoming MAKEnight events, including our next one on December 12th!